Joe Colacurcio and his family hail from the East Coast. Both Joe and his wife, Tammy, come from a long line of landscape-related businesses. Joe grew up with the “Landscape and Maintenance” side of things, while Tammy was raised in a family of commercial ornamental plant growers and irrigation specialists. Joe has over 30 years of experience as a landscape contractor and loves to share his knowledge. Joe and his family have a passion for all things that grow, which fuels their ongoing education about plants, water-saving techniques and new landscape technologies. They regularly acquire additional certifications so they can continue to provide efficient and cutting edge landscape services – from lawns to pavers to ponds and well beyond. Joe and his team are certified in irrigation, pond installation, chemical application, paver installation, wall construction (retaining walls), pruning, lawn maintenance, drainage and design. Their vast experience and top notch expertise includes plant propagation expertise, optimum plant nutrition, irrigation installation and maintenance, tree and plant care and plant disease diagnosis. In addition, Joe and his team are drainage, erosion control and night lighting experts, and also provide property management, master landscape planning, tree care and removal, pond, retaining walls, patios, pond designs, landscape installation, and snow removal services, as well as both small and expansive site work. Joe and his family are a wonderful landscape resource for the Reno area. 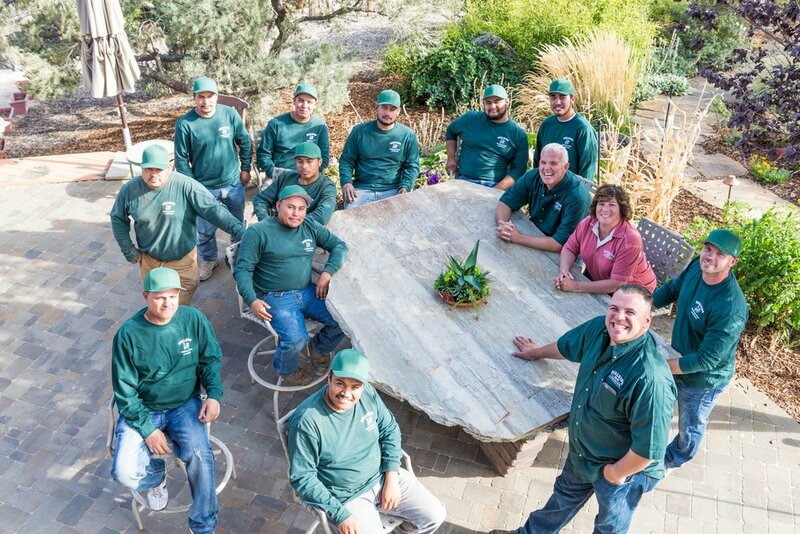 If you have any questions about your landscape situation don’t hesitate to call, because they not only love plants, but people too. We look forward to meeting you and learning about your needs.